Dark Side of the Mind: Star Wars Psychology is a collection of essays, edited by Travis Langley, that seek to explore the motivations behind the iconic characters of the Star Wars Saga. It also looks at why we are drawn to those characters and what that could possibly say about us. The book itself is divided into five major sections: Tales, Kinds, Journeys, Paths, and Awakenings. Each section is then broken down into examinations of the major theme. For example, the essays that fall under “Paths” include “Explaining the Empire: Why Good People Do Bad Things” and “Lando’s Choice: Anatomy of a Moral Dilemma.” They look at the paths chosen by certain characters (or entities, in the case of the Empire), and the consequences of those choices. I found it more than appropriate that the essay “A Symphony of Psychology: The Music of Star Wars” fell under the heading “Awakenings.” Isn’t that what John Williams does with his score? Awaken us? Stir our hearts, minds, and souls? It’s fair to say, this was my favorite exploration presented in Star Wars Psychology. Being an introvert, I was pleasantly surprised to find an essay looking at extraversion compared to introversion. Also appreciated was the examination of the psychology of religious faith (or the Force, in the case of Star Wars) and how it influences believers, such as the Jedi. One thing I had never considered in relation to Star Wars or psychology was the phenomenon of phantom limbs. Considering all the amputations in the films -- not the least of which what happened to Anakin Skywalker at the hands of Obi-Wan Kenobi -- I don't believe I've ever seen this topic discussed. The impact on Anakin as he fully transitions into Darth Vader is fascinating to contemplate. 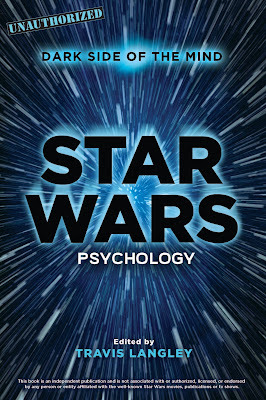 I came to this book with little to no knowledge of the field of psychology (but I do know Star Wars!). Do I feel as though I know more about the psychology of Star Wars now that I’ve read the book? Some of the observations I made while reading were things I had noted previously about the characters and story of Star Wars. 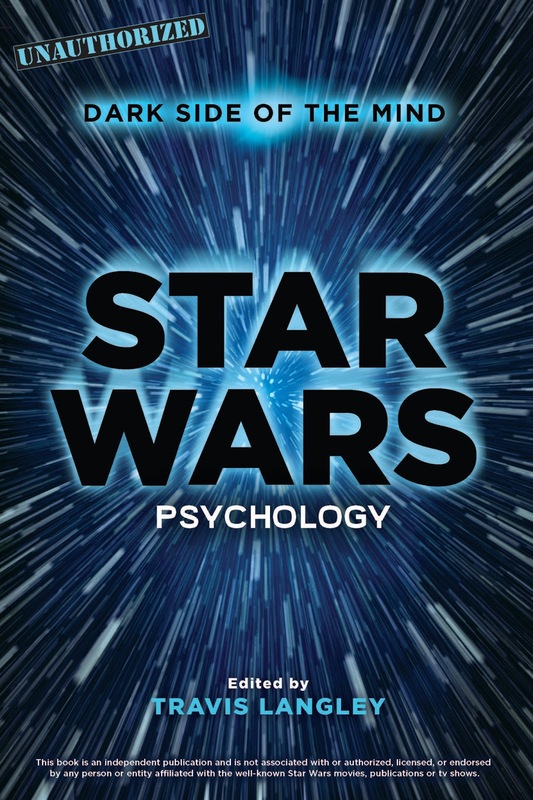 Maybe I already had an inherent understanding of the subject of psychology as it pertains to Star Wars? I certainly felt as though some of my personal observations were justified after reading the essays laid out in this book. Those ‘a-ha’ moments were gratifying! If you seek to find out more on the subject of Star Wars and psychology, there are copious notes and references at the end of each essay. The research done for this book is impressive. That said, Star Wars Psychology was designed to be a fun foray into examining the Saga we love so much — it’s very approachable, not pretentious at all, and, on that level, it succeeds. One thing that took away from my overall satisfaction with the book were a smattering of typographical errors found in the text. It in no way calls into question the quality of the material presented, but it did interrupt the flow from time to time. Do you want to know if it’s possible for droids to express emotion? Was Anakin Skywalker neurotic? Why did so many ‘good’ people fall in line with the Empire? Was Yoda the greatest mentor ever? Would you like to look at Star Wars through a slightly different lens than you're used to? Dark Side of the Mind: Star Wars Psychology is a good place to start. Thank you to Sterling Publishing for providing a copy of this book for review purposes.